Sweet dreams for kids, photo ops for parents. 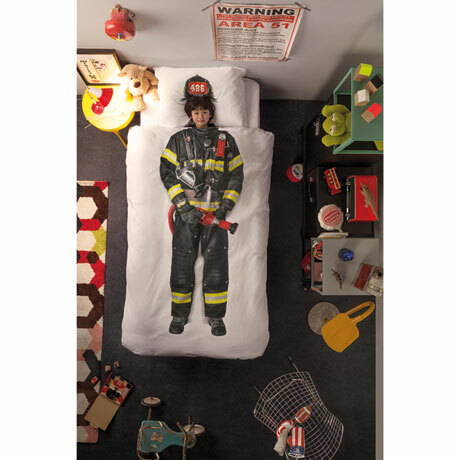 When children pull up the duvet and lay their sweet heads on the pillow, they're suddenly "dressed" as a firefighter. Each set includes a twin duvet cover and one pillowcase. 100% cotton percale. Machine wash and dry. Imported.